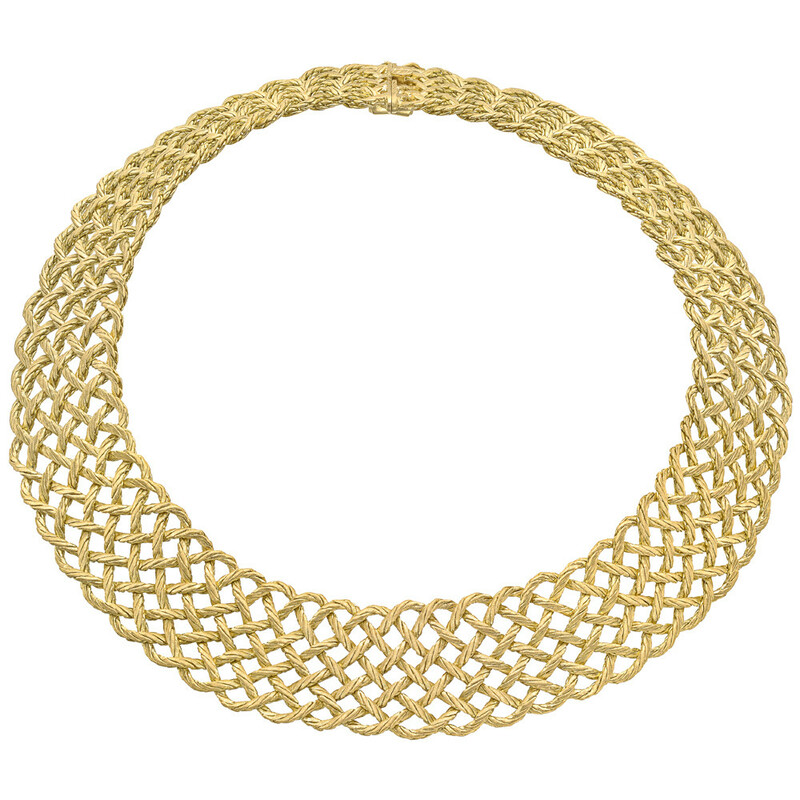 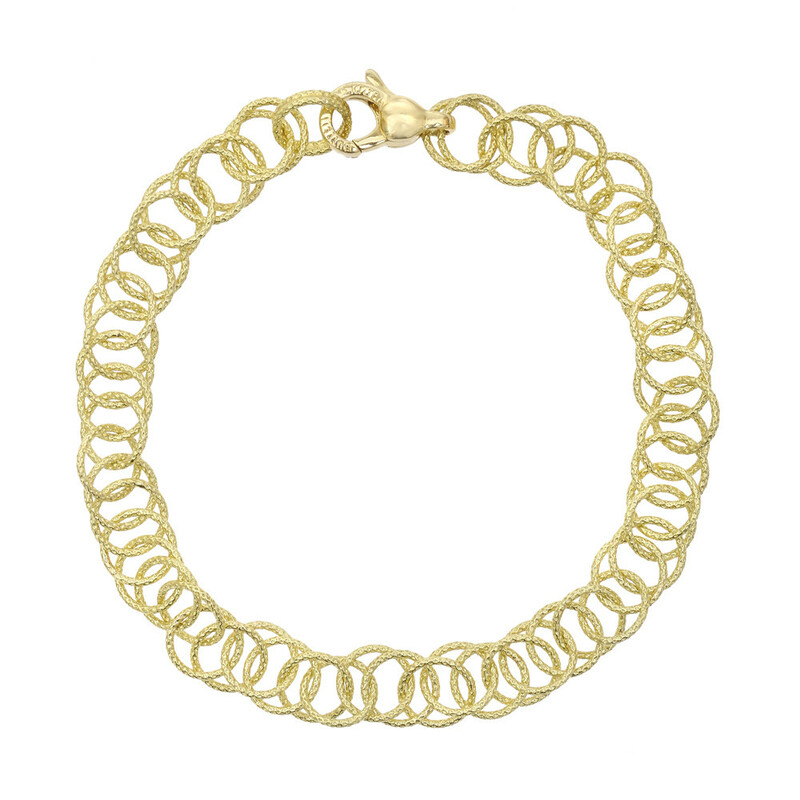 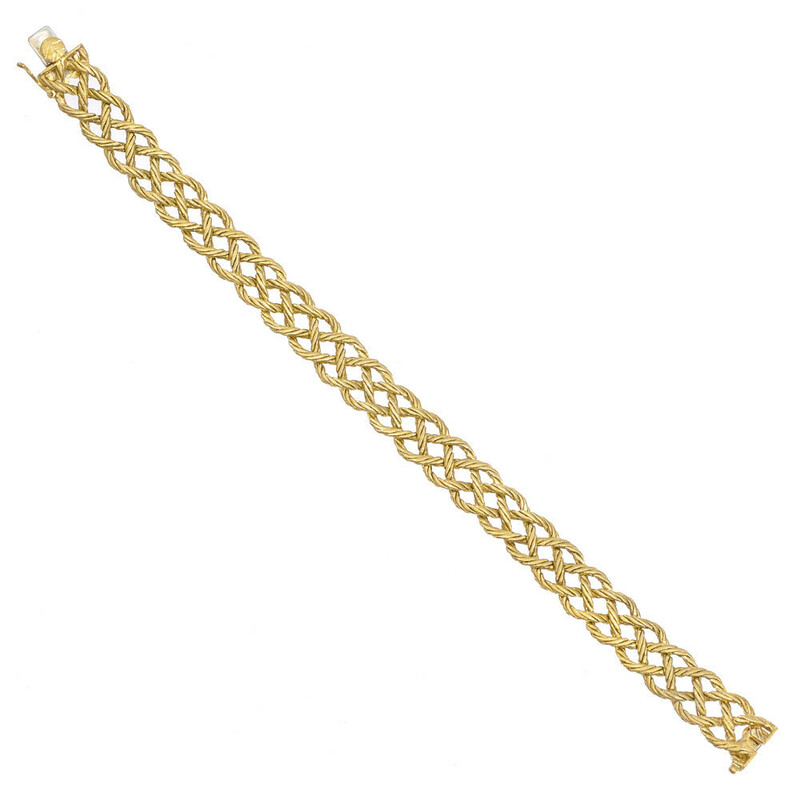 "Crepe de Chine" bracelet, designed in woven rope-twist textured 18k yellow gold wire. 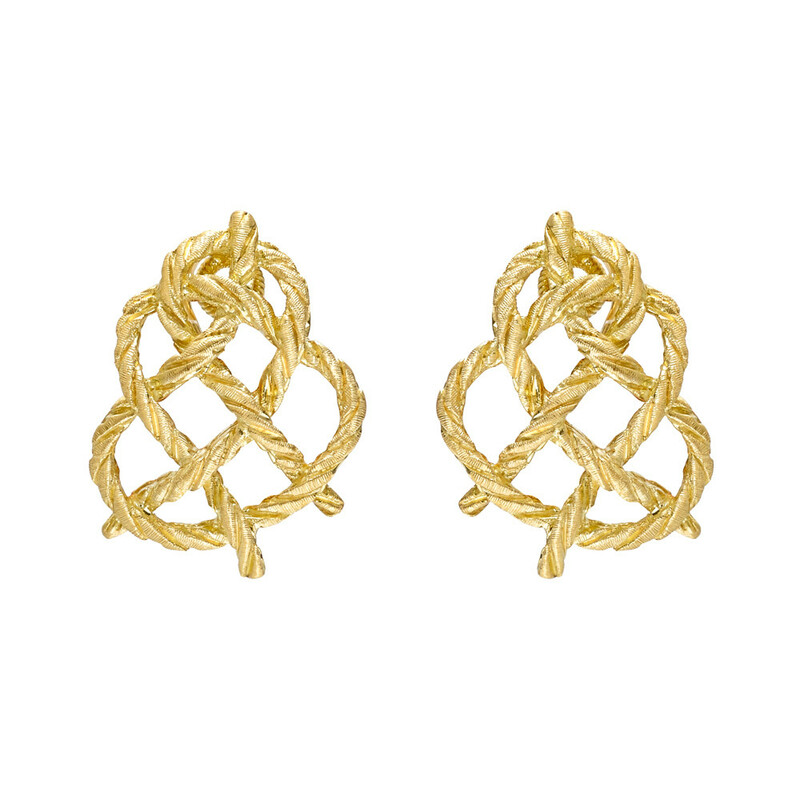 Handmade in Italy by Buccellati. 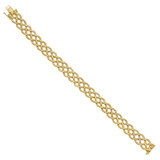 Just over 7" long and 0.4" wide.